They're breathtaking pictures -- a lovely red-headed young woman, a green-eyed housecat, a peaceful temple garden in Japan. But they're not photographs -- they're copies of photographs done with that most prosaic of artistic instruments, the simple ballpoint pen. 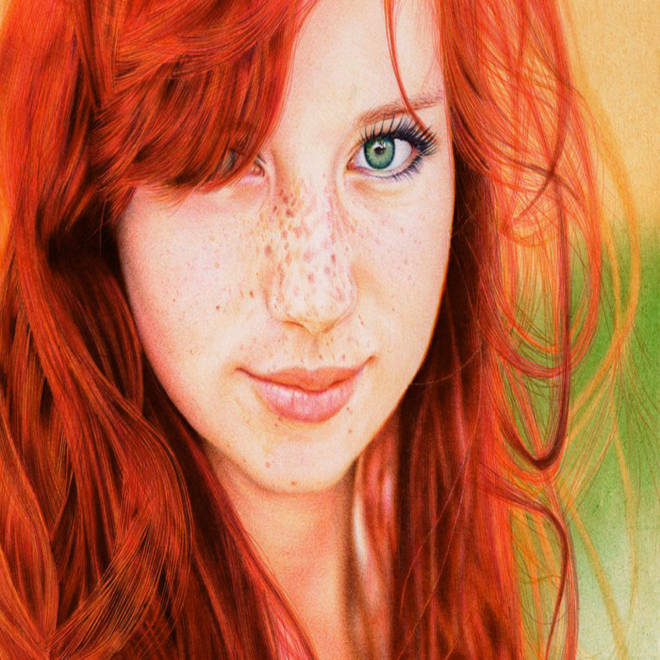 Samuel Silva's "Redhead Girl" is drawn with ballpoint pen and based on a photograph of model Love Ansimov by Russian photographer Kristina Tararina. Attorney Samuel Silva, 29, who lives in Portugal, is earning a lot of attention recently for his amazing pen artworks, which are displayed online. He uses BIC pens in eight different colors to do his work, which is so well done that some visitors to his webpage don't believe he actually did the work, and want him to post a video of himself drawing. Silva notes of "Cat Face" that "the original size is about the same as two credit cards, a very small drawing. I always try to squeeze as much quality in it as I can though." "When people doubt something or don't like it, all they have to do is move on and forget it, continue with their lives, that's what I do," Silva told TODAY. "Why would it be possible to create photo-realistic drawings and paintings with any other medium in existence and not with ballpoint pens?" 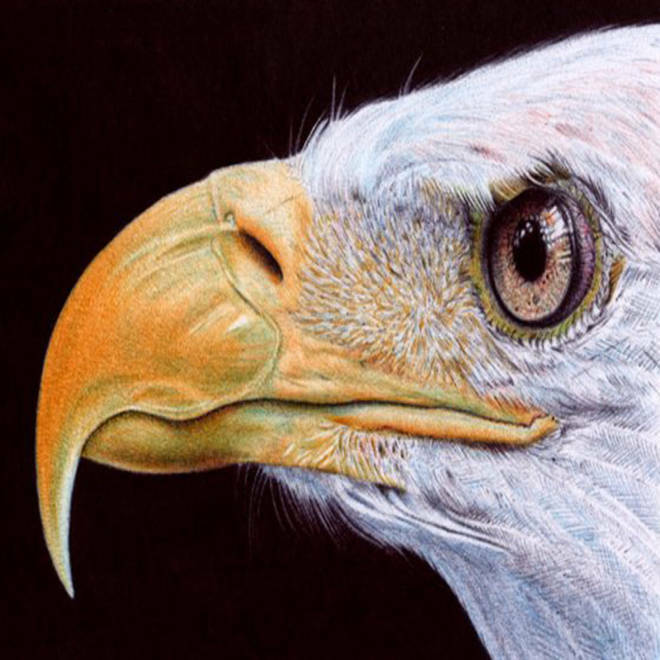 Silva says "Bald Eagle" took eight hours to finish, and calls it "just another quick doodle." He jokes on the webpage that his drawings take "forever," and tells TODAY that "to me, 'forever' is 50 hours over a period of two months. That's a long time!" 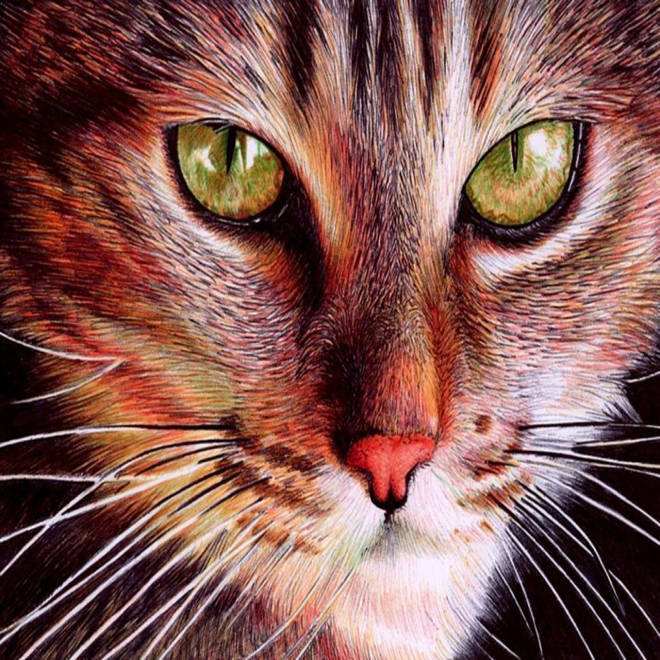 Domestic and wild cats are among Silva's chosen images, and he admits a drawing called "Tiger" is his favorite. "I do love felines of all kinds," he said. 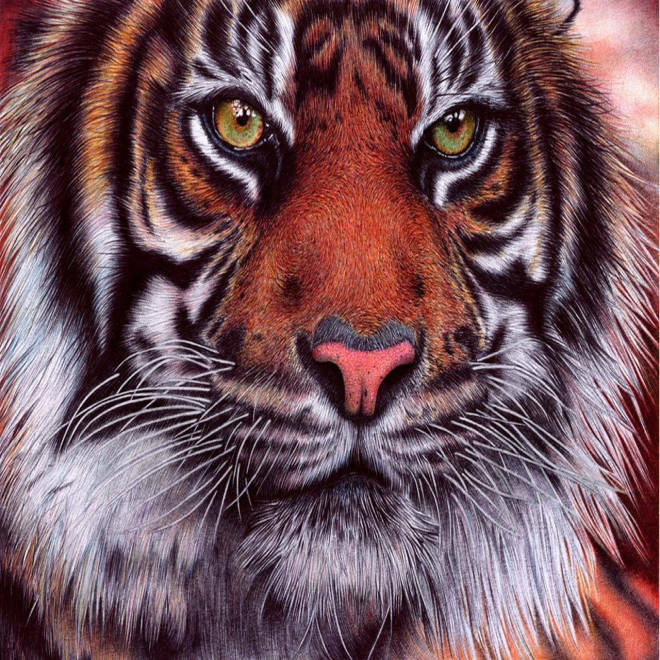 Silva says "Tiger" might be his favorite drawing, and that he loves felines and always wanted to draw a tiger. "This one is wild, that's why I love it," he says. "Big felines are not meant for zoos." It took him 20 hours to draw. Silva told TODAY that BIC hasn't contacted him, but if they did, "I'd ask them to make a bigger set of colors, because ballpoint-pen artists and enthusiasts around the world would certainly buy them." What do you think of Silva's work? Can you believe he only uses ballpoints? Tell us on Facebook.